Photo: River empties into flamingo-dotted lake. The Omo River is the main tributary of Lake Turkana, although the lake has no outlets. Water evaporates, and the lake becomes ever more salty. This makes Lake Turkana an endorheic basin. 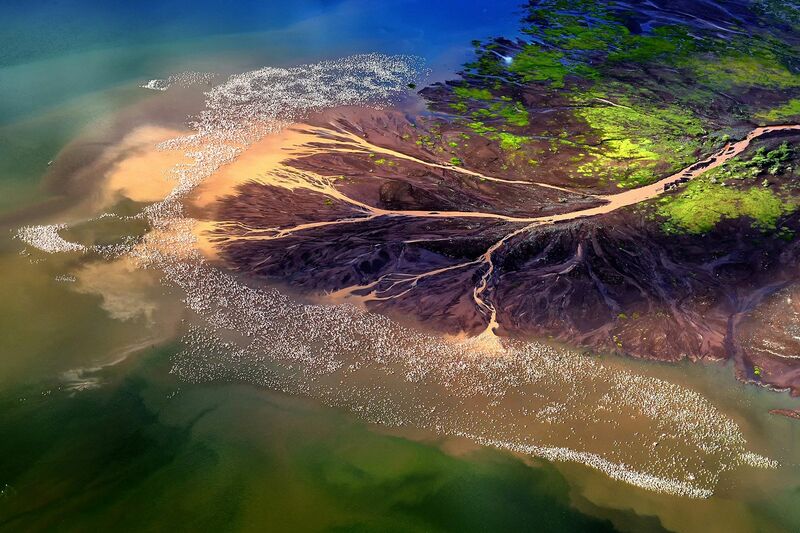 Lake Turkana is one of many endorheic basins in East Africa's Great Rift Valley. Lake Bogoria, above, is another. Like Lake Turkana, Lake Bogoria is home to a rich variety of microscopic life, which provide food for thousands of flamingos. Scientists explain the unique alkaline chemistry of Lake Turkana, Kenya.